The art of the omelet is not to be overlooked. Perfect omelets can take years of discipline to create and knowing when and how to add additional ingredients is an art form all itself. Luckily, Virginians have an abundance of riches in the omelet department, with fantastic options throughout the Commonwealth. No matter where you are in Virginia, you’re never too far away from breakfast bliss with the following 10 restaurants. Lucky Oyster is a six-time “Best of the Beach” winner for their seafood, raw bar, lunch, and, most importantly, brunch. This casual eatery embraces a nautical theme, bringing out the best that Virginia Beach has to offer. The three omelets on the menu offer something for everyone, whether you like yours packed with meat or overrun with veggies. But the true star of the menu is the seafood omelet. Jam packed with shrimp, crab, and scallops, you won’t find a better taste of the beach than at Lucky Oyster’s brunch. Pop’s Diner Co. in Chesapeake and Virginia Beach, Virginia has a vintage American diner vibe with powerful flavors. Customer reviews are sterling, so it’s no wonder they were recently awarded The Virginian Pilot’s Gold Award for Best Breakfast in their “Best of Hampton Roads” competition. Each of their seven omelets are cooked with three eggs and come with toast and a choice of home fries, grits, or fresh fruit. Try one of their suggested omelets or branch out on your own with the Pop’s Combo and create the omelet of your dreams. 821 in Richmond, Virginia, is known for its hip vibe and intimate setting. Ten unique omelets make breakfast a delight. Options include crab, veggie, western, sun dried tomato, huevos, smoked salmon, chili, bacon and brie, and roast pork, along with the option to create your own three-egg omelet. Add specialty toppings for an even more unique experience. No one could blame you for skipping a pizzeria and grill while searching for a perfect omelet in Springfield, Virginia, but if you don’t give Delia’s a shot, you’d be making a big mistake. Their Athenian Omelet is worth the trip, served with gyro, feta cheese, tomatoes, Kalamata olives and onions, as well as home fries and toast. Nine additional omelets round out the menu with classics and Mexican flavors to satisfy everyone in your party. Claire’s at the Depot in Warrenton, Virginia, oozes refinery. Future guests are encouraged to book a table well in advance or risk missing out entirely. Claire’s is set in a century-old train station, adding an incredible ambiance to any meal. The food is contemporary American with a Southern flair. Claire’s has had no shortage of accolades, including honors from Warrenton Lifestyle Magazine, Virginia Living Magazine, and Piedmont Virginia Magazine. Each omelet comes with roasted potatoes and fresh fruit, but varies from visit to visit, depending on the chef’s choice and whatever fresh, local ingredients are available. Kathy’s Restaurant in Staunton, Virginia, is this year’s first place winner for “Best Breakfast Restaurant” in the Shenandoah Valley, as awarded by Virginia Living magazine. Kathy serves everything, including a cornucopia of breakfast offerings. You won’t find a better deal for the financially sensitive—for less than $8, you’ll get an omelet, gourmet pancakes, toast, or biscuits. 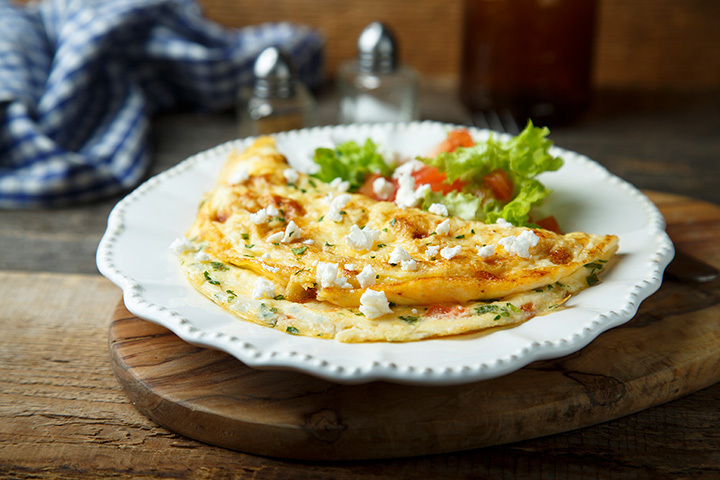 Choose from eleven omelets, including classics like bacon and ham, to Kathy originals, like Country Morning and Country Club. The Roanoker Restaurant has served delicious food to the fine people of Roanoke, Virginia, since 1941. Named as “One of the 5 Best Places in Virginia to Eat Breakfast” by Southern Living Magazine, The Roanoker draws on over sixty years of experience to create classic dishes done right. What the omelet menu lacks in size, it more than makes up for in flavor. The omelets are inexpensive and delicious. Try out the “BIG” Omelet to see what all the fuss is about. Thunderbird Café in McGaheysville, Virginia, is a funky café halfway between Massanutten and Harrisonburg that serves breakfast all day long. Southern comfort is the name of their culinary game, with massive portions that’ll become your new standard for home cooked meals. The menu is huge, and includes a plethora of breakfast, lunch, and dinner options alongside the six main omelets. Meat lovers will love the Steakhouse omelet, served with grilled sliced sirloin, peppers, onions, and cheddar. Don’t forget that you can make your own omelet from over 15 filling options. While L’Dees puts their pancakes front and center, only a breakfast novice would overlook their “Ultimate Omelets.” Made with two eggs and served with home fries, toast, and cheese, the reasonably priced 12 omelet options have kept customers coming back since 1989. Staple dishes, like meat lovers and western, are present, alongside Florentine and Greek inspired variants. When craving breakfast in Front Royal, L’Dees has got your back.